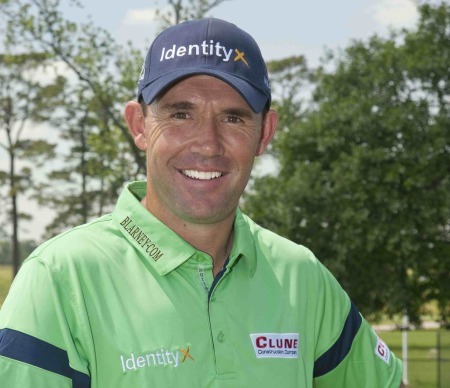 Michael Clune and Pádraig HarringtonPádraig Harrington has signed a long-term partnership agreement to become an official ambassador for Clune Construction - the multi-million dollar, Chicago-based company created Irish-born Michael Clune. One of the largest commercial interior construction companies in the US, Clune entered an interim branding arrangement with the three-time major winner last year and helped raise funds for the Pádraig Harrington Charitable Foundation. Michael Clune, founder of Clune Construction, believes the partnership will create long-lasting benefits for both parties. Michael Clune admires his company’s handiwork. Pic via http://deerfield.suntimes.comClune Construction is known for its involvement with various charitable organizations and places a high value on giving back to the communities it serves. “Our company is committed to helping community organizations and finding unique ways to meld business and community ventures. It is our hope that that partnerships such as this, beyond the business sponsorship element, can provide another avenue to assist in doing that,” Mr Clune explained. Clune’s personal time is spent supporting community organizations that address homelessness, including PADS shelters in Lake County. For his effort helping those who are struggling get back on their feet, Chicago’s StreetWise publication honored Clune last month with its Philanthropist of the Year Award. Clune emigrated to the Chicago area in 1978 with empty pockets and no high school degree. Though he started out in a job at the bottom of the ladder, he saw it as his opportunity to do more. “I just realized I needed to work harder than anyone else and learn the culture and system,” he said. 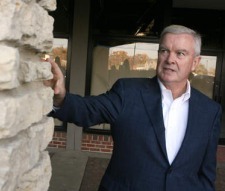 Clune worked in the construction division of real-estate services giant Jones Lang LaSalle until 1997, when the subsidiary became independent. Clune bought and renamed the company, and in 15 years helped boost annual revenue from $80 million to $450 million. The operation now has offices in Los Angeles, New York and Washington D.C., and does work in 22 states. “The American entrepreneurial system is alive and well, and I’m extremely grateful to have that opportunity,” he said. 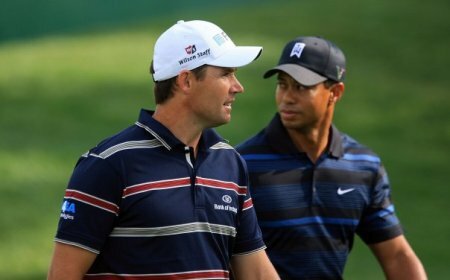 Things are looking up for Pádraig Harrington. He's got no idea wha the future holds but he's busier than ever and even designed a new line of golf clothing for Dunnes Stores. 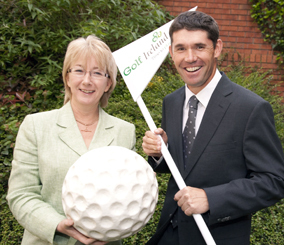 Pádraig Harrington has signed a multi-year deal with indoor golf simulator technology company Full Swing Golf.